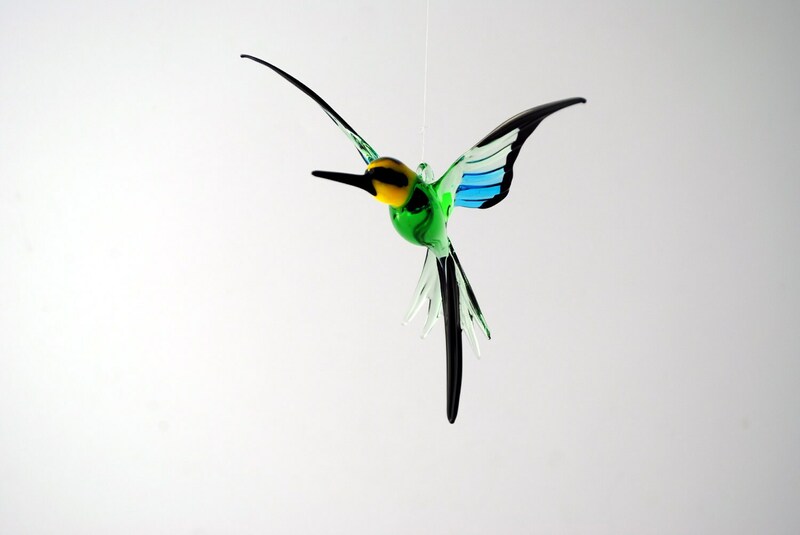 Handmade, lampworked hanging glass Bee Eater Hummingbird. It shipped quickly and got here in plenty of time. 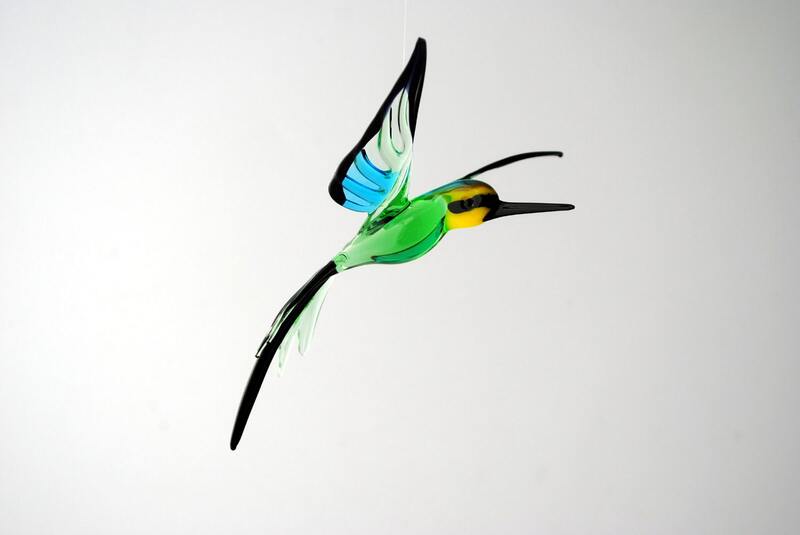 It is a beautiful piece, and I was proud to give it as a gift.